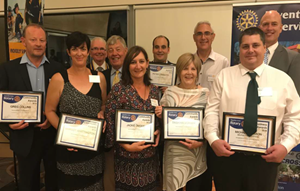 THE ROTARY CLUB OF APPLECROSS financially supports, initiates, and its members assist, a range of Community, Youth and International projects and organisations. This award acknowledges an employee, regardless of age or vocation, who in the eyes of the nominator, displays outstanding qualities with respect to attitude, approach, dedication and commitment. It covers all aspects of work performance and ethics, including quality of output, safety, initiative and sense of responsibility. Nominations are sought, at any time, from an employer or by a member of the public and should be sent to the Applecross Rotary Director in Charge of Community Service. An award was made to Ashley Chambers. His manager Andy Swift from Gemini Accident Repair in Melville was also recognised in the Award presentation on 25th September 2018. Read More. If an antibiotic is needed which one to use and why? Donations are made to the numerous Community Groups for their assistance with the entertainment, site preparation, parking, transport to and from the parking area, First aid and with the BBQ’s. Starick is a not for profit organisation which provides multi-layered support services in Perth’s south-east metropolitan area to women and children experiencing family and domestic violence. The services provided by Starick include two refuges for women with children, supported community housing, court support, advocacy, children’s programs, community outreach services and an Op Shop. Read More. 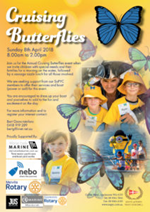 The Cruising Butterflies provide a day out on a boat for families with children with special needs from the Kalparrin community a not-for-profit organisation that supports family members or carers of a child with a disability or special needs. It is run by the Cruising Section of the South of Perth Yacht Club with “at no cost” administration support of the Yacht Club. Several members of Applecross Rotary participate in Cruising Butterflies by making their boats available; all agree that it is quite humbling to experience what many of these families go through every day in raising their special need children. Applecross Rotary has also finacially supported this project in 2016-17 and 2017-18. Australian Rotary Health provides funding into research areas of Mental Health, General Health and Indigenous Health and provides Rural Medicine and Nursing Scholarships. 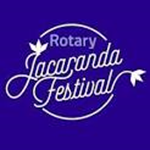 It is a project supported by Australian Rotary Clubs with a broad vision to improve the health and wellbeing of all Australians. Read more Applecross Rotary support. The Rotary Shark Tank is a competition among businesses working in the social initiatives in Western Australia. 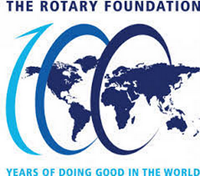 The Rotary Shark Tank is run by local Rotary Clubs. The Rotary Shark Tank gives mentoring, financial planning, business planning, and assistance sourcing products and services to winning businesses with a social mission. True Blue Dreaming, is committed to supporting and strengthening young lives in rural and remote Australian communities. Their programs have been successfully delivered in the Wheatbelt, Kimberley and Pilbara regions of Western Australia since 2004. True Blue Dreaming Inc. is a registered not for profit charity. Applecross Rotary has, for a few years, donated to True Blue Dreaming Inc. to support ongoing mentoring programs in the WA wheatbelt towns of Bruce Rock and Wyalkatchem. Read More. RYLA is a 7-day residential leadership seminar for aspiring leaders aged 18 - 25 years. The week incorporates a lot of self-development through a variety of mechanisms including reflection (individually & as a team), team work, sports and outdoor activities, dancing and many others. Read more about participants sponsored by Applecross Rotary. The National Youth Science Forum gives Year 11 students passionate about science an opportunity to visit a large variety of some of Australia’s leading scientific facilities and talk to many of our top scientists enabling informed career choices to be made. It's also a fantastic opportunity to meet like-minded people and establish professional relations and life-long friendships. Read more about sponsored students. The Conoco Phillips Science Experience is designed for youth who have an interest in science and want to engage in a wide range of fascinating hands-on science activities led by passionate scientists. This Science Experience provides information for Year 9 and 10 students about further studies in science, technology and engineering highlighting the wide range of careers that will allow them to pursue their interest and abilities in the sciences. Handicamp provides an opportunity for young people with a disability and between the ages of 18-35, to attend a one-week live-in camp assisted by staff and buddies. Applications open on 1 October for the camp which is held in mid-January of the following year for both campers and buddies. Applecross Rotary supports Handicamp campers and buddies. Read More about sponsored participants. RYPEN provides a group of young people aged 15-17 an opportunity to develop valuable leadership skills. This weekend long program will see them engage with like-minded people, while having fun and learning new skills in areas such as problem solving and public speaking. On top of learning these skills RYPEN will give them a chance to put them to practical use, through debate and physical activity. Read more. ShelterBox provides families after disasters, such as flooding and cyclones, the essentials needed to begin rebuilding their lives. These include ShelterBoxes and ShelterKits. The sturdy green ShelterBoxes contain family-sized tents specially designed to withstand the elements and provide people with temporary shelter until they are able to start the process of rebuilding a home. The ShelterKits contain all of the essential tools people need to start repairing and rebuilding homes. Read More. More details are given in the November 2018 ShelterBox report. 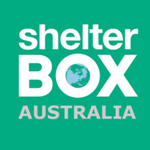 Applecross Rotary has donated funds to ShelterBox in 2015-16, 2016-17 and 2017-18. Read More. Applecross Rotary regularly contributes to the Rotary Foundation including in 2015-16, 2016-17 and 2017-18. Since Rotary and its partners launched the Global Polio Eradication Initiative nearly 30 years ago, the incidence of polio has plummeted by more than 99.9 percent, from about 350,000 cases a year to just 37 cases in 2016. 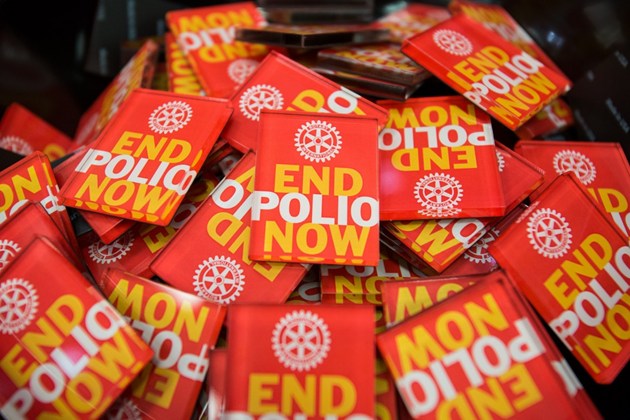 On 15 August, 2018, Rotary announced nearly $100 million in grants to support the global effort to end polio. Poliomyelitis is a highly infectious disease that most commonly affects children under the age of 5. Most know it as poliovirus. The virus is spread person to person, typically through contaminated water. It can attack the nervous system, and in some instances, lead to paralysis. Although there is no cure, there is a safe and effective vaccine – one which Rotary and our partners are using to immunize over 2.5 billion children worldwide. Read More. Applecross Rotary has made numerous donations to this Polio program including in 2015-16 and 2016-17.